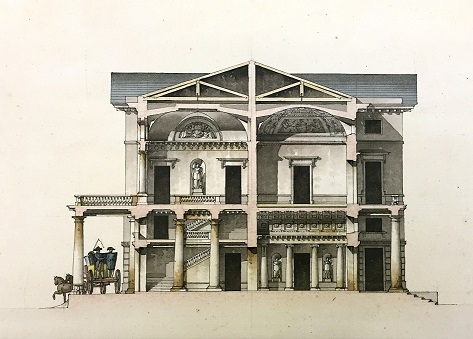 The exhibition showcases some of the drawings proposed to the Brera Academy by Giacomo Quarenghi, who had been made honorary member in 1804, on the occasion of the Exposition in Brera held in 1812. These drawings are accompanied by reference models and by the most important publications made in the 19 th century with engravings of the artist’s projects. The exhibition course ends with the concept drawings for a grandiose military building imagined by the Russian architect Nikita Ivanovich Martos, who had been made a Corresponding Member of the Academy. 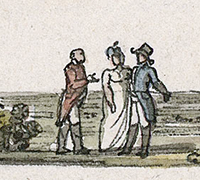 These drawings were also exhibited in 1812 as a gift from the author.